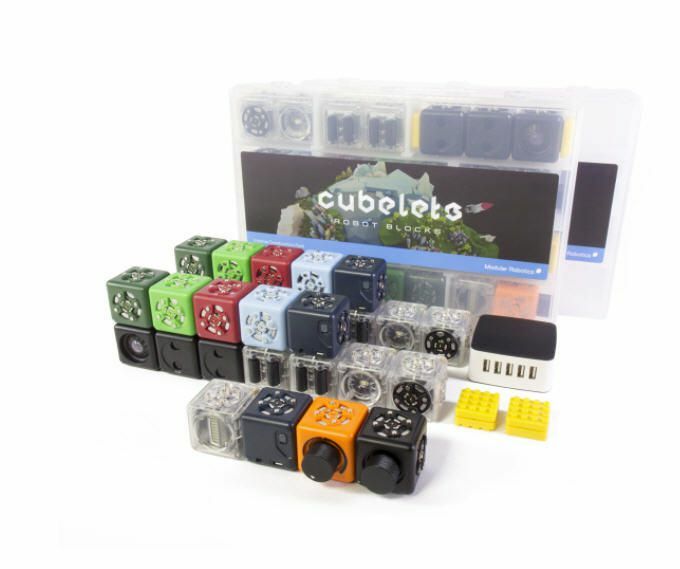 Our most popular educator pack with 56 Cubelets. Grab the quintessential Cubelets collection! The Creative Constructors Pack facilitates easy adoption and high-ceiling academic activities with enough Cubelets to support 4 working groups. Programming challenges and remote control races are a snap because each group can utilize their own Bluetooth Cubelet. The Creative Constructors is our favorite mix of Cubelets for the budget savvy educator. Includes 56 SENSE, THINK and ACT Cubelets, Brick Adapters, storage and a 5-port battery charger.